The discovery provides greater evidence for rocky worlds in our galaxy. 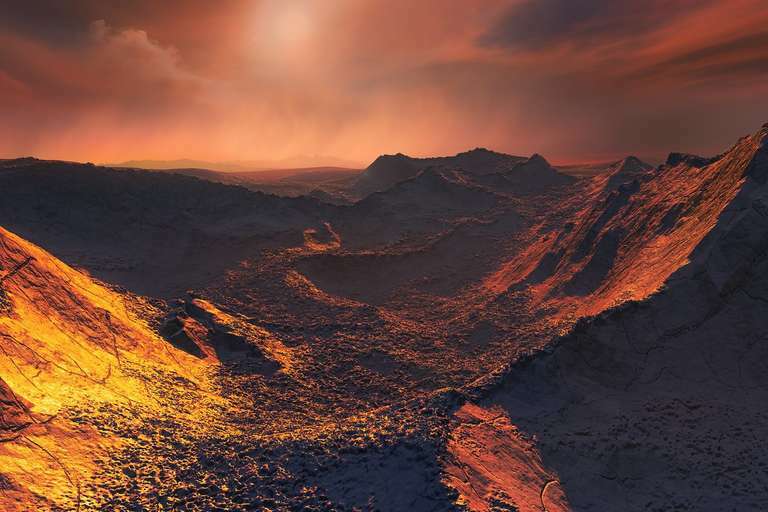 A	A	team of astronomers has found strong indications of a cold super-Earth orbiting Barnard’s Star, the second-closest star system to our sun. The frozen world is at least 3.2 times the mass of Earth and is only six light-years away, according to a study based on the research that was published in Nature. It’s a find of special significance, following the recent detection of an Earth-mass planet orbiting the closest star to us, Proxima Centauri. The two discoveries show greater evidence for rocky worlds in our galactic neighborhood. “We have recently learned from the Kepler space telescope that small planets appear to be common, but Kepler surveyed a small patch of sky, and found planets around stars [that are] hundreds if not thousands of times farther away than Barnard’s star,” said co-author Johanna Teske, a postdoctoral exoplanetary scientist at the Carnegie Institution for Science in Washington, D.C. While Barnard’s Star is large and bright in telescopes, finding this world in the star’s orbit was a significant challenge. Scientists identified the planet by tracking the motion of the star as it moved closer and farther from Earth. Fortunately, there are many observational sets for Barnard’s Star, using state-of-the-art planet-seeking instruments. Past surveys had found hints of a planet, but astronomers were interested in finding some really solid data. CARMENES is installed at the 3.5m telescope at the Calar Alto Observatory in Spain, and it’s a new entry to planet-seeking instruments, having only seen “first light” in 2016. But the researchers were able to use it for a lengthy observing campaign between 2016 and 2017. Once they added in the work from CARMENES to the other data sets, Teske said, the researchers saw enough validity in the data to publish the results. Now that this planet appears to be a real world, Teske says that there are many unanswered questions she hopes to resolve quickly, such as what the surface is made of, or if it has an atmosphere. One thing astronomers are confident about, though, is that this new planet is not habitable. It orbits too far from its parent star to get enough warmth for liquid water on its surface. 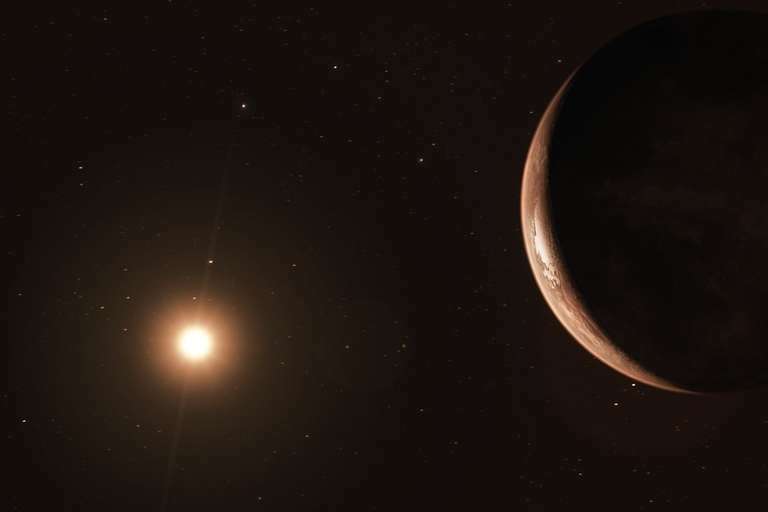 Teske said that there are hints that there might be another planet around Barnard’s Star, although it’s difficult to determine if the signal that investigators saw is from the star itself or from another planet. The European Space Agency’s Gaia mission could eventually shed light on this question, since the spacecraft is designed to precisely track the movements of stars. 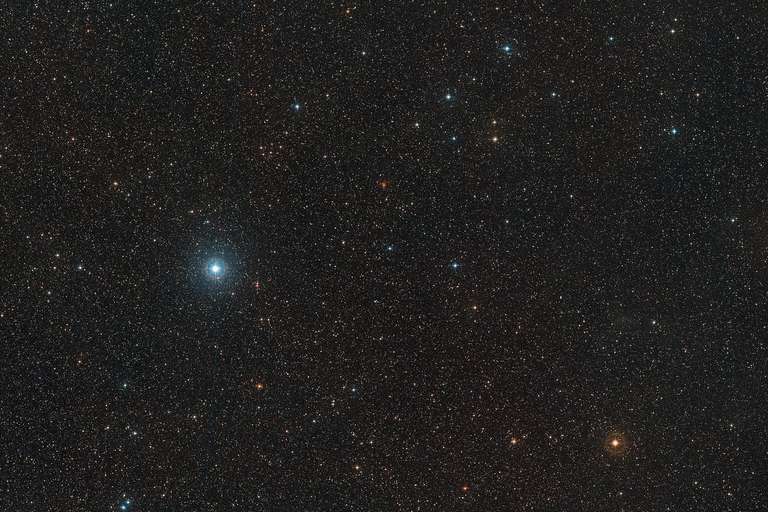 Finding a planet near Barnard’s Star shows the value of combining a bunch of datasets on planet searching, something that is already ongoing with the Red Dots campaign, whose goal is to find terrestrial planets at stars nearby our own sun.